Fri., 6 Sep. - Tue., 10 Sep. Sat., 14 Dec. - Tue., 17 Dec. 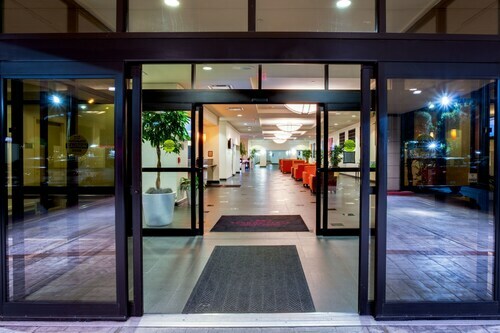 Located in Kenner - Louis Armstrong International Airport, this hotel is within 3 mi (5 km) of Imtt Field, Rivertown Museum & Kenner Planetarium, and Rivertown Repertory Theatre. Veterans Park is 3 mi (4.8 km) away. 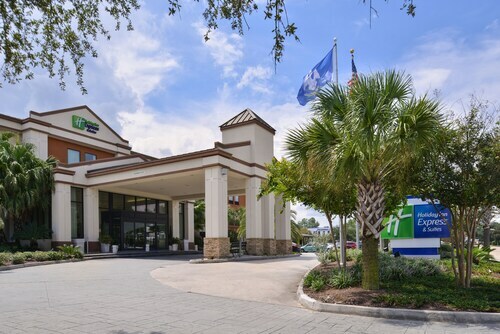 Located in Kenner - Louis Armstrong International Airport, this hotel is within 3 mi (5 km) of Imtt Field, Rivertown Museum & Kenner Planetarium, and Rivertown Repertory Theatre. Veterans Park and Cafe Du Monde are also within 6 mi (10 km). 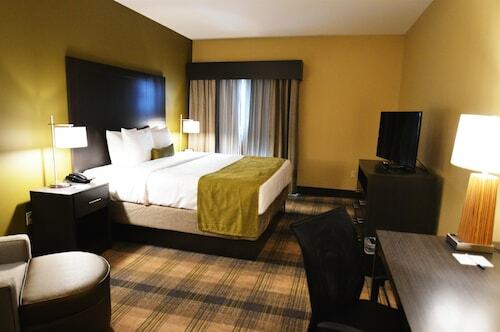 Located in Kenner - Louis Armstrong International Airport, this hotel is 0.6 mi (1 km) from Cafe Du Monde and within 3 mi (5 km) of Esplanade Mall and Lafreniere Park. Pontchartrain Center and Treasure Chest Casino are also within 3 mi (5 km). Radisson Hotel New Orleans Airport is less than a 10-minute drive from the airport, and the free 24-hour shuttle puts the terminals within easy reach. Shopping at Esplanade Mall is a 5-minute drive away, and it’s 20 minutes to the sights of the historic French Quarter. Answer : The average time spent in New Orleans by travellers from Buffalo is five days. However long you decide to stay, give yourself plenty of time to see what makes New Orleans fantastic. Question : What is the cheapest airline flying from Buffalo to New Orleans? Answer : Delta Air Lines strives to keep prices low for their passengers over the next three months. Bookings are being made at just $264 and, when compared to the pricier bookings of $1,215, it's quite a deal. Question : How many flights are there per day from Buffalo to New Orleans? Answer : Depending on the day, the number of flight times will change, but on average there is only one. Compared to the average route departing the United States with nine flight times, you'll have fewer options. Answer : The cheapest day to fly from Buffalo to New Orleans is on Monday. If you are trying to save some money on your next holiday look for flights on Monday. Answer : If you are needing to save some money, look at May 14th. As of Apr 15th, it's showing the cheapest ticket at $264. That is 59% below the average for this route, so you can spend that extra money on an amazing experience in New Orleans. Question : How much is a plane ticket to New Orleans (MSY) from Buffalo (BUF)? Answer : They can range from $264 to $1,215. Booking far in advance can usually help you get the cheapest rate. However, usually the sooner you book, the more you'll be able to save. Question : Which airline has the least delays from Buffalo to New Orleans? Answer : Booking with Republic Airlines means you will arrive to New Orleans when you are supposed to. In fact, this airline has a 100% average for getting there on time. It never hurts to be prepared. If you should choose this airline, be sure to track the flight status to stay on top of the departure time.